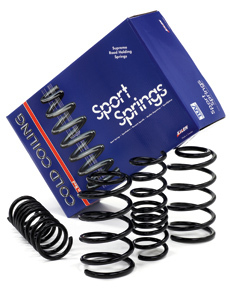 Kilen offer an extensive range of over 800 complete sport spring kits. Lesjofors sport springs will safely lower your car by up to 50mm, substantially improving road holding and providing a sportier driving experience. - Most Lesjofors sport spring kits are TÜV compliant, ensuring the highest levels of safety and performance. - Every kit is designed to be fitted with the original shock absorbers. Gas shock absorbers can however be used to further enhance the ride.